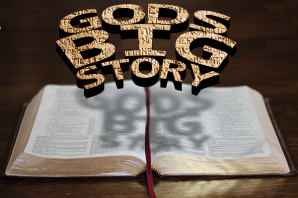 The Bible is not a series of unrelated stories – but ultimately one big story – God’s Big Story! This sermon series touches down in major parts of the story of God’s salvation plan so that we can better understand the context of the different books of the Bible. ← Yes it will be messy and disruptive!